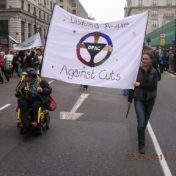 Disabled People Against Cuts (DPAC) was set up in 2010 to oppose the disproportionate impact of austerity on disabled people. DPAC now has branches and members across England and Wales, with a sister organisation, Black Triangle, in Scotland. 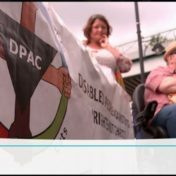 Inclusion London works with DPAC to help Deaf and Disabled Londoners to get involved in rights and anti-austerity campaigning. 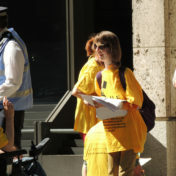 Inclusion London/Disabled People Against Cuts position statement on Work Capability Assessment (WCA) and Personal Independence Payment (PIP) assessments has been published. Disabled People Against Cuts (DPAC) was set up in 2010 to oppose the vicious and disproportionate impact of austerity on Disabled people. DPAC now has branches and members across England and Wales, with a sister organisation, Black Triangle, in Scotland. 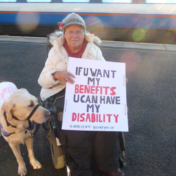 A selection of resources about austerity, cuts, access and Disability Politics. 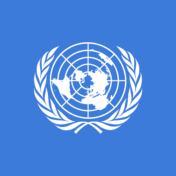 Join a local group to get involved in DPAC in your area.